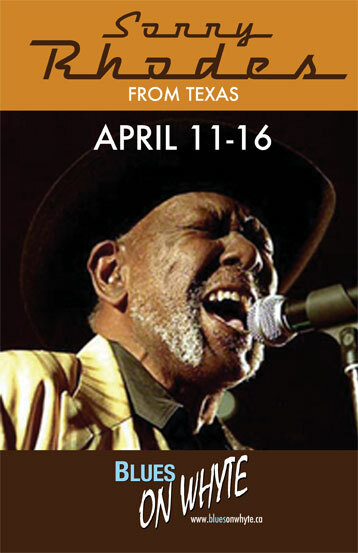 I just learned that Texas bluesman Sonny Rhodes is playing all week at Blues On Whyte in Edmonton, Alberta. Sonny sings and plays lap steel in the authentic blues style, and he's one of the best you'll hear anywhere. Sorry for the late notice, but I hear the weekends are really jumpin' at this place so you still have time to catch his show.